Created in 2010 to mark the XVI International Chopin Piano Competition in Warsaw (The Year of Chopin, marking his birthday in 1810). 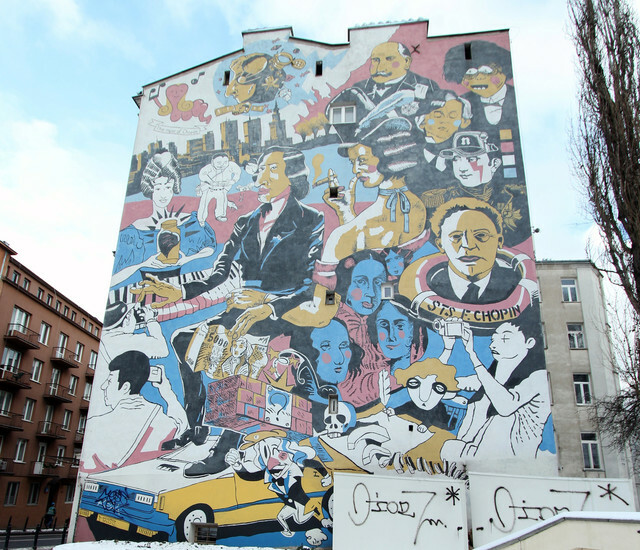 The piece shows the composer in the company of people, objects and stories connected with his life - George Sand, tourists/Chopinologists, Napoleon Bonaparte as well as the planetoid (3784 Chopin) named after him. 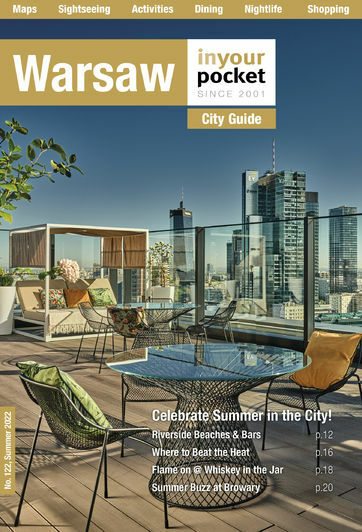 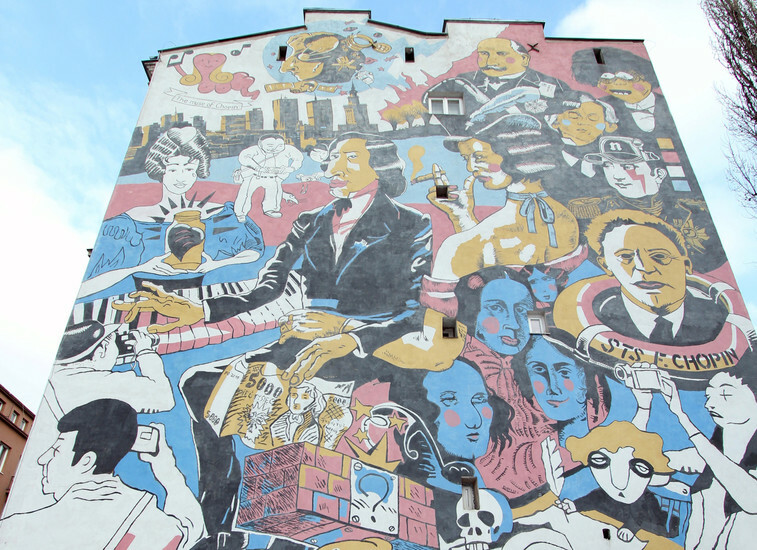 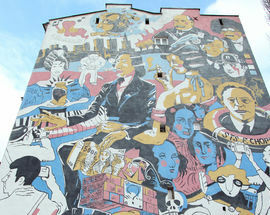 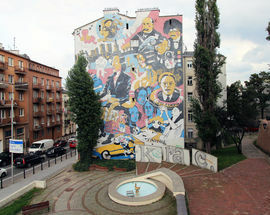 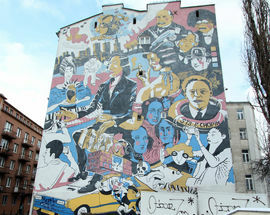 The artwork was designed by Marcin Urbanek, although the creation of the piece was a collective effort by many artists.